My history with detox diets is very short. In fact, I don’t know if you could call it a diet as much as a cleanse. I’ve detoxed twice and it was part of a yoga workshop that was run by my amazing yoga teacher in college and it involved eating only fruit for three days. I could eat as much as I wanted as far as it was fruit. The goal of my detox was more mental clarity and not weight loss, but the benefits touted by a lot of detox diets today include both of these things and clear skin among many other benefits. Coming from that limited experience and my nutrition knowledge, I’ll start with the short answer to whether you can lose weight on a detox diet. The answer – it depends. If you’re after a few kilos falling off and coming right back on, then sure it’ll help you lose weight. But if you’re after the “see ya wouldn’t want to be ya” type of long-term weight loss that most of us are after, then the answer is a resounding NO. Before I get into why you might not find your long term weight loss success with a detox, let’s start with what they are and go from there. Detox diets (also called cleanses) are diets that claim to help your body clear out toxins. They’re usually very restrictive and focus on eating a lot of one type of food. Examples include juice cleanses, fruit and vegetable only fasts, or even the famed master cleanse (maple syrup, cayenne pepper, and lemon juice). Detox diets are popular because they take a lot of the guesswork out of eating. Healthy eating can be hard when you don’t know exactly what should go in a healthy diet, and detox diets fill this void by giving you very clear instructions on what to eat. Another reason why these diets are so popular is that they come with a promise of results, and they deliver. The fact that you’re eating much lower than the Resting Metabolic Rate (RMR) (link) of an adult woman will result in weight loss. Unfortunately, since you go back to old habits after the detox is over, these results don’t usually last that long. When are they a Good Idea? I am yet to meet a doctor who thinks that your body’s natural detoxification system isn’t up to doing it’s job, but I’m yet to meet every doctor in the world yet. The reason why it’s a good idea in this instance is because you’ll be doing it under the watchful eye of someone who recommends it/is on board with your choice, who knows your health history, and who knows the benefits that you both are expecting to get. 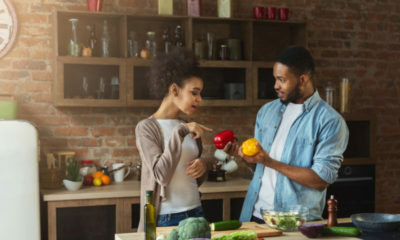 A detox that’s being run by a Registered Dietitian is more likely to respect things like your body’s metabolism and making sure the food recommendations are in line with good nutrition practices. An RD is qualified and empowered by law in most countries to provide prescriptive care using food. These people have not only been educated in nutrition, but they’ve also practiced in hospitals to get their credential, so they have some experience with using food as medicine. If your goal for the detox is just to give you an excuse to rid your kitchen of all the unhealthy foods you’ve been eating and you have no intention of restocking them, then you’re good. But if you go into a detox expecting to lose weight and do it for good, then you might find yourself disappointed when the weight you lose comes back. It’s not inevitable, and I provide actions to take to avoid regaining the weight, but it’s very likely. Are you expecting a magic pill or do you understand that this will be a jump start that’ll require continued effort? If you’re looking for a jumpstart, what reputable resources will you find to help you do it right? Talk to your doctor and check out those links to talk to a dietitian about a detox. This is absolutely true, if you are looking for a long term result, detox is just a jump start, not the real deal. i for one have tried it all but seem to pile the weight back on. currently a a new one its called “The Apple cider Vinegar drink”. my ewww threshold is high so i ca. and its a n absolute remedy for Acne and a great tonner, started 2 days ago and i c see a difference. please where can i find the cider detox drink ,i really want to lose weight and go back to size 10 am a size 12 babe now,please help a sister out. Thanks EJ. A doctor recommended detox for me once when i went for a checkup over chest pain. She said i was medically obese and to jump start my weight loss, she recommended the aloe vera clean 9 detox. Never got around to it…. @Keeks, what’s the Apple cider Vinegar drink? Do share! @keeks, please where can i get the Apple cider vinegar,am based in port harcourt, please your response will do me good,i want to lose some weight,please reply. You can toro Spar/Parkn Shop, you should get it. Currently on master cleanse day 3…….yaay. 4kg lost already. Apple cider is available in many stores in lagos, not familiar with portharcourt, but look for any organic/health stores or check major stores too. I honestly don’t know how people survive eating just fruits for more than 2 days. If I don’t eat rice in 2 days, I start getting unhappy lol. but I have learnt how to eat rice healthily, rather than not eating at all. Like someone said, detox diets are good as a jumpstart, but for long term weight loss and maintenance, we need to develop good eating and exercise habit- healthier for your body in the long run. Apple cider vinegar is sold in any supermarket, be sure not to get the Heinz brand, its distilled, but any other brand will do. morning and night, have a cup of tea or water, drop a spoon or 2 spoons in it, but let the ratio be equal, and drink, day1 i just noticed u immediately get full, and you are more active during the day, also as a face cleanser either use a cotton wool and rub on your face or on the pimple, the vinegar smell goes once it dries up. all these things are online you can read up on the Medicinal properties and qualities of Apple cider Vinegar, and the good thing is that its Organic. i prefer to drink mine with lemon tea and Honey or Lipton and honey and add a lil Apple cider… plus it has also many many advantages. Read up, am not just spinning tales. Yes PEOPLE! Get on that A. cider Vinegar. It does work & I drink mine without nothing but hmm no b joke oh. After one yr of mixing it, I got the nerve to drink up like that. If you like drink all the apple cider vinegar in the world and do a detox (no one needs a detox, your body does that on a daily basis, that’s why you poo and pee), if you don’t watch and cut down on what food you consume, you will remain Orobo! Weight loss is not by magic!!! 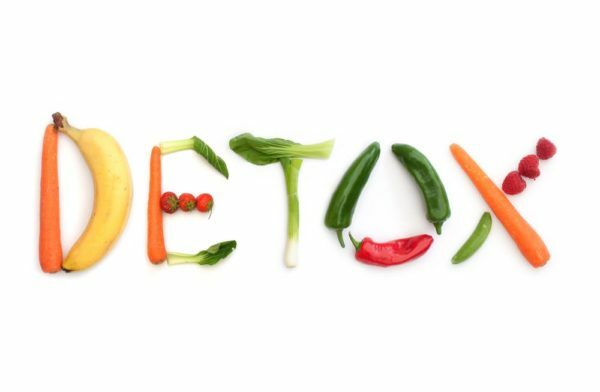 I think everyone should do a detox once a year. Detoxing does your body gooooood. Try Iaso detox tea. Call 08034484970 to order yours. Did you know that dieting can actually “help” you gain weight? Thanks @ Keeks, i just saw one online now called BRAGG unfiltered apple cider vinegar, can i buy it or do you have a particular brand that you can suggest? ACV is the truth. Very unpleasant smell though. Smells like bad stinky feet lol….. and it is so sharp to the taste buds so that fact might not encourage you to be steady with drinking it. Try the tea and lemon recipe. It might taste better. @Vivian…. Yes Braggs is one of the best. There are others out there, but like keeks mentioned for the purpose of weight loss and acne treatment stay away from Heinz brand. Its usually filtered. What you are looking for is the term “Mother” Just make sure it contains “mother” which is a cloudy substance that settles at the bottom of the container. Ejiro, a 3 day fruit fast is not really long enough to detox a backlog of chemicals. I recovered from chronic fatigue with detox but although I cut out wheat , dairy and sugar it was not restrictive. To detox properly you have to supply the body with the nutrients needed for the detox system to work efficiently. This means replacing the restricted foods with other nutritious foods. Starving the body achieves nothing.